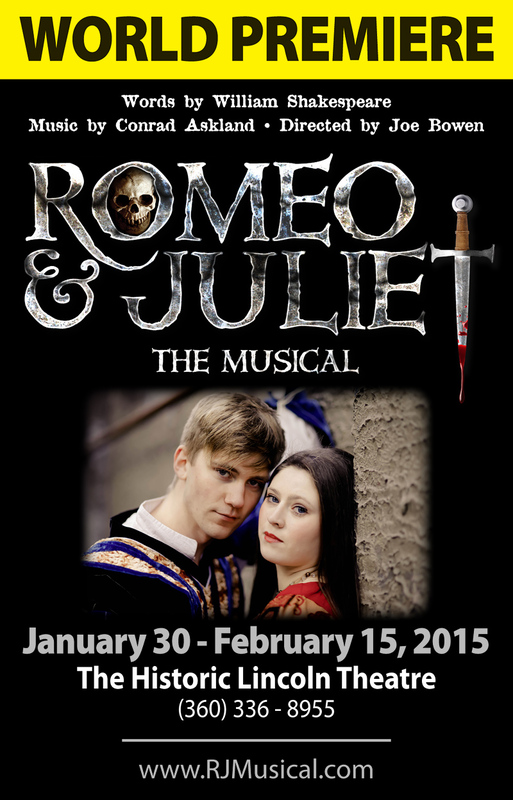 Romeo and Juliet the musical will have it’s world premiere January 30 – February 15, 2015 at the Historic Lincoln Theatre in Mount Vernon, WA. RJ is my largest and most advanced musical score to date and features 10+ live musicians with a cast of 30+. The script and lyrics use only the original source text from William Shakespeare’s original Romeo and Juliet. Our time period is the authentic time period of Shakespeare’s original world premiere of RJ, late sixteenth century (1592-1594). This work is orchestrated for Key 1, Key 2, Trombone, Horn, Flute/Piccolo/Recorder, Oboe, Clarinet/Bass Clarinet, Drums Bass and Guitar. 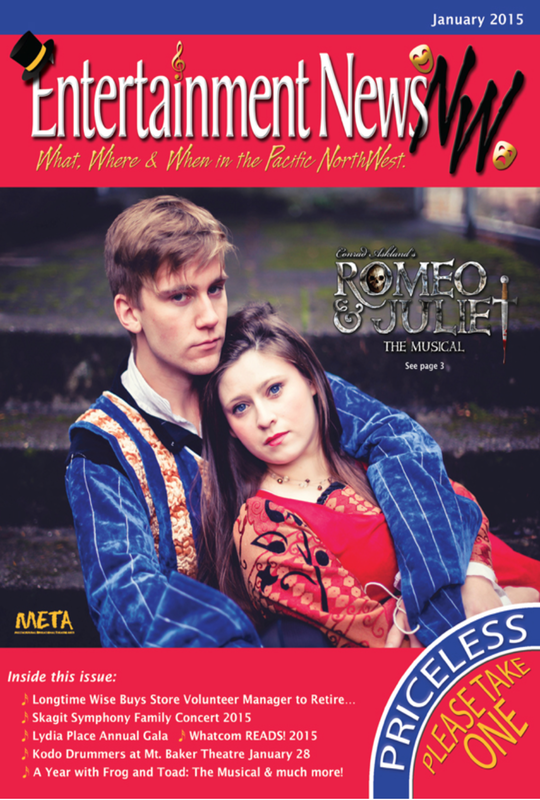 In over 400 years, since the original premiere of Romeo and Juliet, there has never been a successful musical rendition that has been embraced by both audiences and theater critics. Artistically this is a momentous challenge as we aim to do just that. We are brave. We are strong. We are RJ 2015. HUZZAH!